plan for nbn™, ADSL or cable in 3 easy steps. Just pay out your modem if you leave before 24mths. Why choose Australia’s favourite internet provider? Your Smart Modem switches to the 4G mobile network if there's an internet dropout. Included in plan price for new customers who stay connected for 24 months. There’s no lock-in contract so you can change or cancel anytime. Simply pay out your modem if you leave before 24 months. If you don't love our nbn, you can leave penalty free in 30 days. nbn™ guarantee for first time Telstra on nbn™ connections only. that’s ready to go now? If you don’t want to build your own, choose a ready-made package with internet and entertainment bundled together. And checkout faster. Let us take the strain out of switching your home phone, internet and entertainment services to your new address. Take the internet with you. 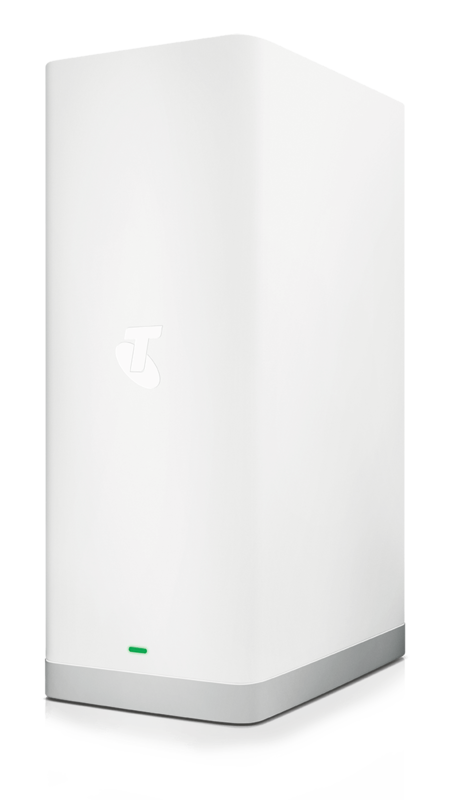 With Telstra mobile broadband, you’ll experience 4G speeds in more places. Optimise your Wi-Fi access at home with superior modems and home networking devices. 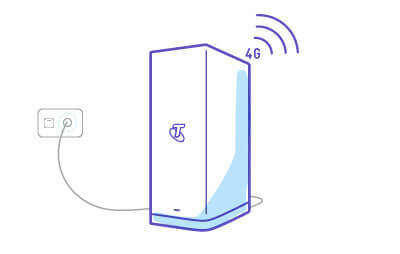 In areas serviced by nbn co, Telstra may be required to connect services onto the nbn network. If you’re in a new development and not already connected to the nbn network, nbn co may charge $300 to connect your premises to the nbn network. If applicable, we will bill that charge to you. Once you are connected to nbn fibre, you won’t be able to move to our copper network. Extra charges may apply for non-standard or professional install of Telstra or nbn co equipment and for premises in new developments. Speeds will vary due to a number of factors including customer hardware, equipment and software, server limitations, the use of Wi-Fi or ethernet, type of content being accessed and the number users online (including Telstra Air users). Mobile backup available to premises in 4G coverage areas. Check coverage at telstra.com/coverage. Your mobile backup connection is limited to speeds of up to 6Mbps for downloads and 1Mbps for uploads. Actual speeds will vary due to local conditions and content accessed. Unlimited Data: Fair Use Policy applies, visit telstra.com.au/customer-terms/home-family for details. Available 8am - 9pm AEST/AEDT. We're here to answer your questions about broadband and nbn plans. Have a question about broadband or nbn? Ask our Customer Forum. More information about broadband and nbn can be found in our Frequently Asked Questions. Your entertainment all in one place. Here's just some of the fun stuff you can add on in checkout. Want to see more? Stream Netflix, Stan, Foxtel Now, live sport, catchup TV and more, in one little black box. And search across apps for your fave shows with the one Wi-Fi remote. New Telstra TV gives you access to the latest blockbusters, fresh from the cinema. PLUS with a $125 credit you get up to 20 bonus new release movies on us. It's the shows you love for less. Get entertainment plus sports, drama or movies and get a 12- month discount. With no install fees for new customers. Stream Netflix, Stan, Foxtel Now, live sport, catchup TV and more, in one little black box. And search across apps for your fave shows with the one Wi-Fi remote. New Telstra TV gives you access to the latest blockbusters, fresh from the cinema. PLUS with a $125 credit you get up to 20 bonus new release movies on us. It's the shows you love for less. Get entertainment plus sports, drama or movies and get a 12- month discount. With no install fees for new customers.